I have found this great website which can help you to plan out your travel from the UK to Europe. It has all sorts of information. Its unusual website address is named after this guy’s favourite seat on the Eurostar ! Oh to live in the South of England and be able to just hop on Eurostar any time ! This is interesting. Its a Paris guide which you can download for your iPad. Has anyone tried this out ? Was it useful ? In France, New Year’s Eve is called La Saint-Sylvestre and is usually celebrated with a feast, called le Réveillon de Saint-Sylvestre. The feast tends to include special items like champagne and foie gras. 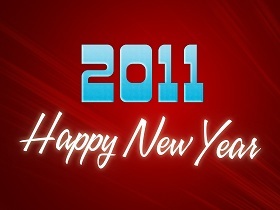 So enjoy your festivities and Best Wishes for 2011. Lets look forward to some summer camping trips in the sun !